Caitlyn Jenner slams Kardashians stating she do not trust them and is only concerned for her biological daughters Kendall and Kylie Jenner. Caitlyn Jenner kick started New Year with bitter thoughts for Kardashian sisters and concern for her biological daughters Kendall Jenner and Kylie Jenner. Caitlyn is currently spending quality time with daughter Kendall Jenner. The 68-year-old Caitlyn Jenner divorced her wife Kris Jenner in 2015. Since then, Caitlyn has been hissing the Kardashian side of her family. 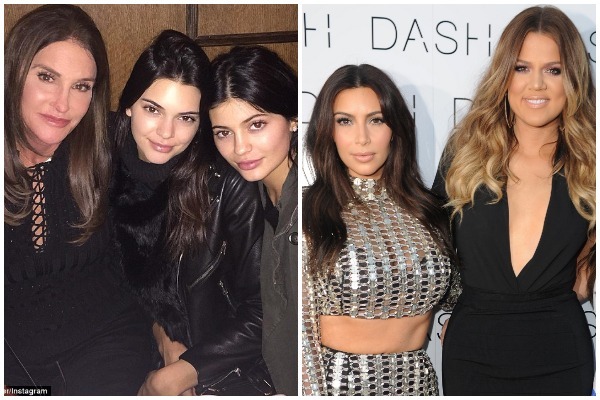 The feud is not one sided, the Kardashians slammed Caitlyn on their reality TV show KUWTK for keeping her gender confirmation surgery a secret from them. Also Read: Lawsuit Filed Against Kendall And Kylie Jenner By Tupac Shakur’s Photographer! What do you think of Caitlyn’s comments? Let us know your thoughts in the comment section below. Previous : Salman Khan-Katrina Kaif Starrer Tiger Zinda Hai Box Office Is Inching Closer To 300 Cr Mark! Next : Is Ranveer Singh Getting Engaged Today With Birthday Girl Deepika Padukone in Sri Lanka?